As the culture’s carrier, high-class architecture always embodies local unique cultural atmosphere, and reflects the identity value and aesthetic taste of local citizen. Today, modernization and homogeneity are very popular; it is urgent and significant to protect the traditional architecture, and to create a recognizable identity for traditional city. Traditional architectures of each city represent the local site temperament, protect and inherit regional traditional architectures, and sustain the approval of community on the identity and value. Because of this, at the beginning of design, we pay attention to continue and maintain the context of existing buildings. 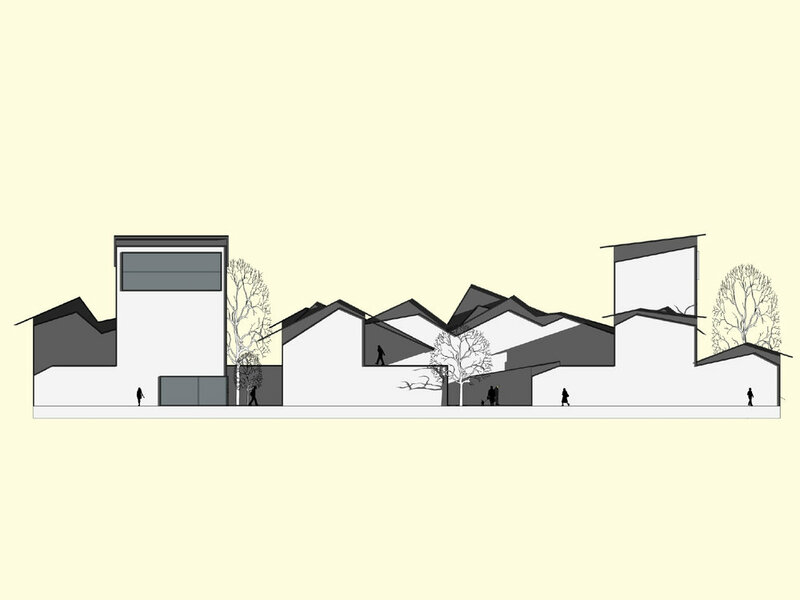 In this proposal design, we get inspiration from the regional traditional architecture styles, try to present the neighbor features before by the space form of traditional alleyways which are stagger with each other and by the whole design of the relatively high density. The primitively simple blocks and energy-saving high-rise supplement each other, and meet the requirements of the plot ratio and comfort in project.